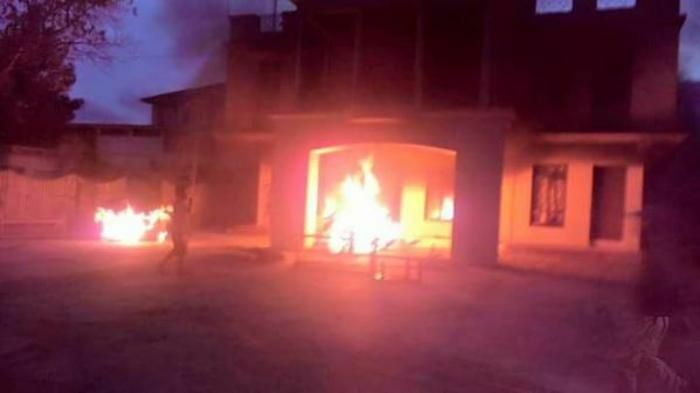 In what appears to be a case of mob violence, the residences of Manipur Health Minister, MLA of Thanlon and MLA of Singhat were burnt down. The mob prevented police and fire engines from reaching the spot. The violence in Churachandpur appears to be over passing of inner line permit bill, TV reports say.